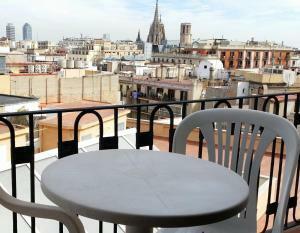 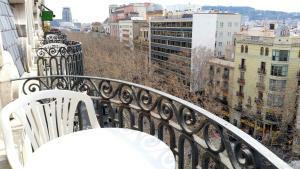 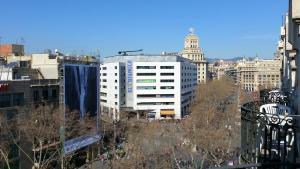 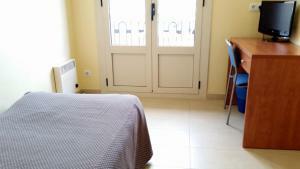 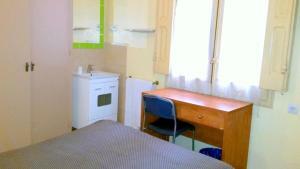 Hostal Capitol Ramblas is located on the famous shopping street of La Rambla in central Barcelona. 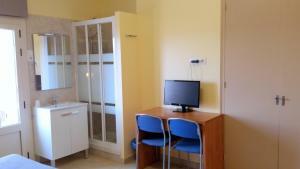 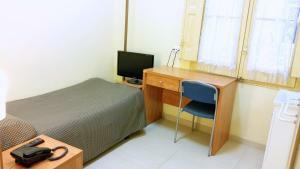 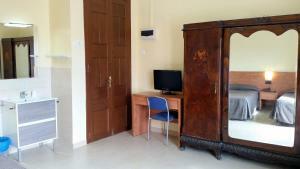 Free WiFi access is available and the guest house also provides bike rental, and has a 24-hour reception. 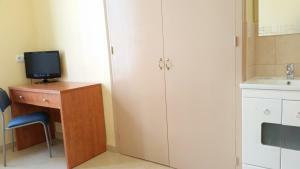 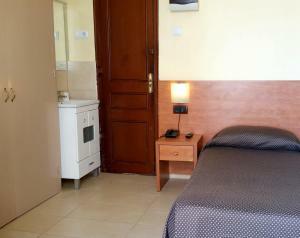 Each room has an LCD TV with satellite channels and a fan. 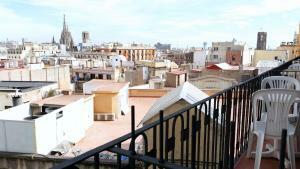 Most rooms feature a balcony overlooking the city, while some have views of the cathedral. 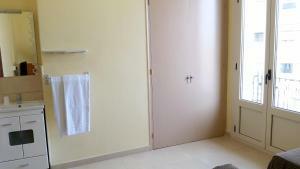 Guests have access to a shared bathroom and toilets. 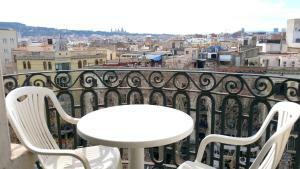 At Hostal Capitol Ramblas you will find a shared lounge, a ticket service and a tour desk. 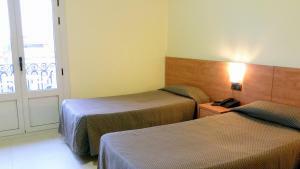 The guest house is 200 metres from Plaça Catalunya, 200 metres from Portal de l'Angel and 500 metres from La Seu, Cathedral of Barcelona. 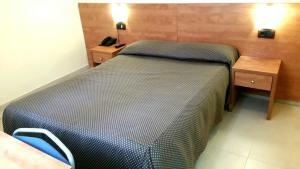 Barcelona El Prat Airport is 12 km away. 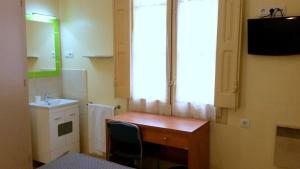 This single room comes with either a balcony view or with a window facing the courtyard. 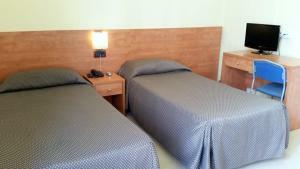 Rate: € 30.00 ... € 117.50; select dates below to get current rates. 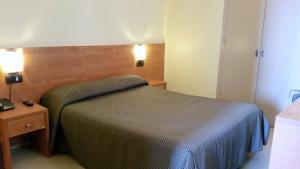 Rate: € 56.43 ... € 116.43; select dates below to get current rates. 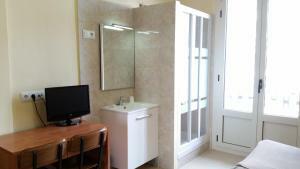 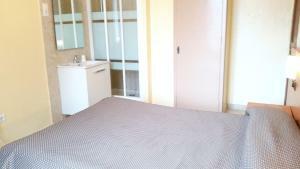 This triple room features a balcony, satellite TV and tile/marble floor. 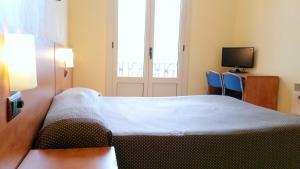 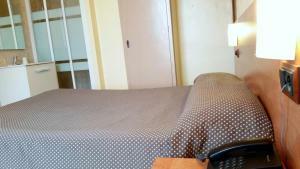 This triple room features a balcony, tile/marble floor and satellite TV.